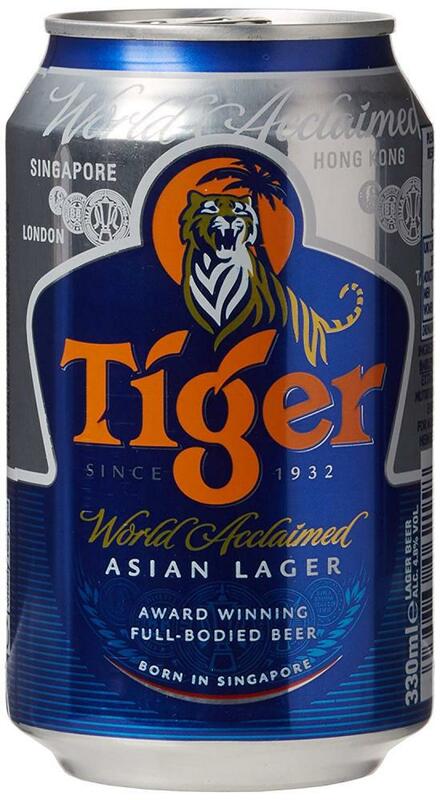 Tiger beer is a pale lager internationally renowned for taste and quality. Tiger beer's bold, distinctive flavour makes it the perfect accompaniment with food, particularly spicy and fragrant dishes. Tiger beer is a clean, refreshing and full-bodied lager with no lingering aftertaste.